The Russian start-up, which produces high-tech display systems faced challenges after opening new facilities with little investment. Russian start-up Displair, which makes a 3D, screenless multitouch display system has been forced to halt production in China and shut down its office in the city of Astrakhan that housed manual assembly operation due to severe financial difficulties. 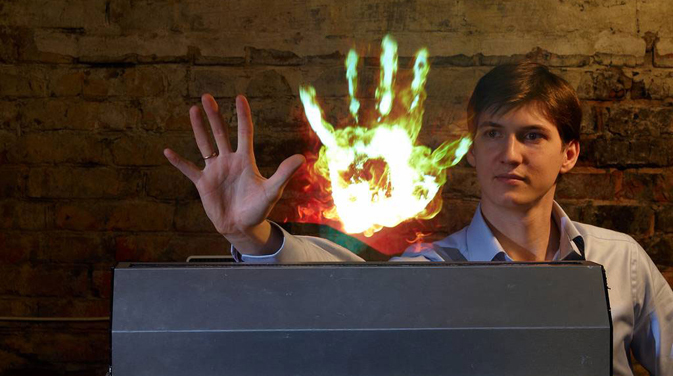 Displair is air screen technology with multi-touch functionality, which can control images using gestures. Images are projected onto a 4 millimeter-thick stream of air with water particles.The system is capable of registering up to 1,500 touches simultaneously, with a response rate of less than 0.2 seconds, making the number of users operating the system at the same time virtually unlimited. Displair also cut its staff from 46 to 15. “Now we don’t need sales, marketing, PR or manual assembly. We will concentrate on creating technologies, and our remaining employees are focused on that aspect. We will depend on revenue from the lease of 40 existing displays,” said Kamanin. The company is now looking for a major partner like Samsung or Sony with the production facilities needed to produce Displair. According to Kamanin, Displair is already in talks with several potential partners, but declined to give names. Read more about Displair! Displair: air, water, pictures! The company is working to address the issue of expensive assembly and ultimately reduce the cost of the finished display. Today, a Displair system sells for $12,000. There have also been issues with the quality of the electronics. The company currently has plans to make modifications to the product in order to be able to move into industrial production. A parallel start-up will sell licenses for technologies developed by the company. Kamanin said that representatives from tech companies have already shown considerable interest in the factory prototypes and potential cooperation. The company has a number of patents and projects underway that the team hopes will be useful in a variety of consumer products. Displair’s management has been repeatedly criticized for extravagance, for example, opening its own production facility instead of leveraging the capacity of partners, and paying salaries that were too high while investment in the project remained low. According to tech company database Crunchbase, Displair has raised only $6.38 million. Kamanin, however, justified the decision to open an assembly and research facility in China. “We needed a factory prototype for a large manufacturer to produce our display. Manual assembly is not appropriate for them,” Kamanin said. In his opinion, Displair projectors manufactured on a production line are superior to those that are hand assembled and will be more appealing to potential partners.